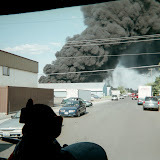 Narrative: On Friday, April 4th, at approximately 10:00 AM, the Spokane Fire Department dispatched 4 engines,2 ladder trucks, 1 heavy rescue, and 2 battalion chiefs to a reported structure fire at 719 W Maxwell. The calling party had advised Fire Dispatch that his house was on fire and they advised him to evacuate and await the arrival of the fire department. SE3, responding from their station at Indiana and Ash, arrived within 4 minutes and reported smoke coming from the eaves of the two story wood structure. After talking with the occupant and making sure everyone had gotten out SE3 advanced a preconnected hose off of their apparatus to attack the fire, which was located mainly in the attic. As other crews arrived they were assigned other tasks such as securing a water supply, cutting a hole in the roof to let the smoke and fire escape the attic, and searching the structure to make sure all occupants were out. The fire was confined to the attic and crews had to pull the ceilings on the main floor to expose and extinguish it. There were no injuries to civilians and one firefighter was transported to SHMC with a shoulder injury. His status is unknown at the time of this media release. SPD provided traffic control by closing off Maxwell Ave and Avista assisted with utility control. 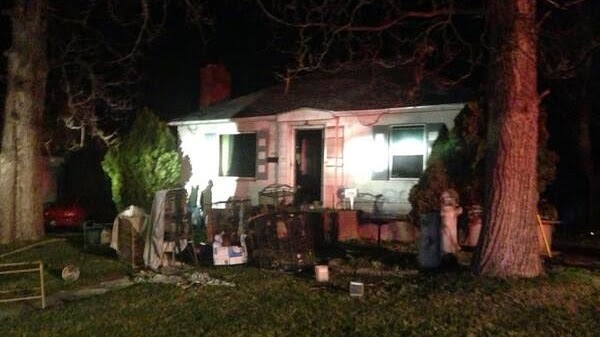 Cause: A SFD Investigator has determined that the fire was caused by smoking materials discarded into flower pot. The material in the pot caught fire and communicated up the inside of a porch column into the attic. Damage: The roof and attic sustained heavy smoke and fire damage. Crews quickly covered the occupant's furnishings with tarps before pulling ceilings to prevent damage to them. This morning, April 3, 2014, at approximately 2:25 AM the Spokane Fire Department responded to 2710 W. Garland on a reported structure fire. The first crew on-scene reported smoke showing from a 1-story wood-framed, residential structure. Upon further investigation by the fire attack crew the fire was located in the basement on the south side of the structure with fire extending to the main floor. Fire fighters aggressively attacked the fire from the interior with additional fire crews completing search and rescue, ventilation and salvage and overhaul. The fire was brought under control within 20 minutes and there were no reported injuries to civilians or firefighters. According to statements made by the 2 occupants sleeping in the basement, they were alerted to the fire by the activation of their smoke detector. They were able to escape the dense smoke and elevated heat conditions in the basement along with a 3rd occupant who was sleeping on the main floor and they all exited the structure prior to the fire departments arrival. Four engine companies, two ladders a heavy recue truck and 2 Battalion chiefs totaling 26 firefighters responded to this fire. Fire crews were on scene for approximately 4 hours to complete salvage and overhaul. 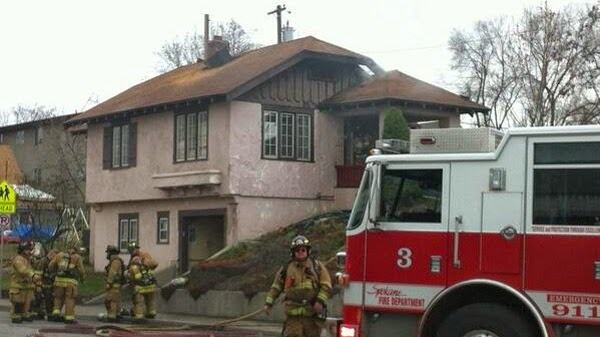 Cause: The cause of the fire is under investigation by the SFD Special Investigation Unit. Damage: Fire damage was confined to the basement with heat and smoke damage throughout the structure.